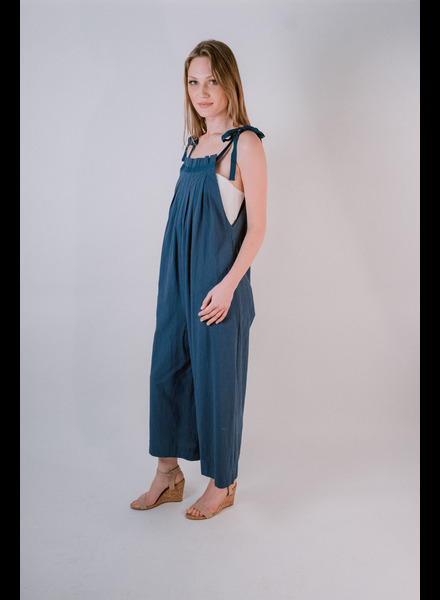 Striped open back jumpsuit with tie waist and adjustable straps. Model is 5’9” and wearing a size small. Square neck pinstripe playsuit with sash waist tie. 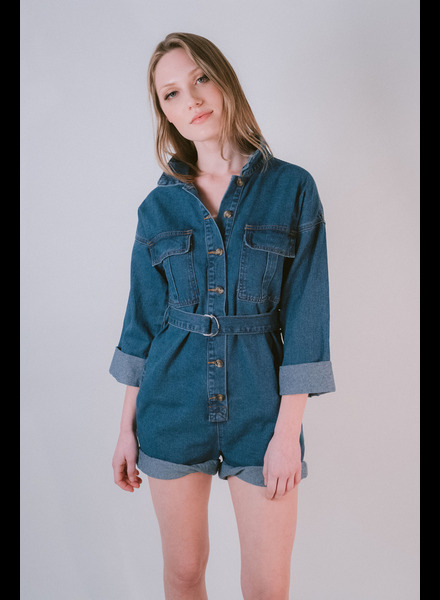 Model is 5’9” and wearing a size small. 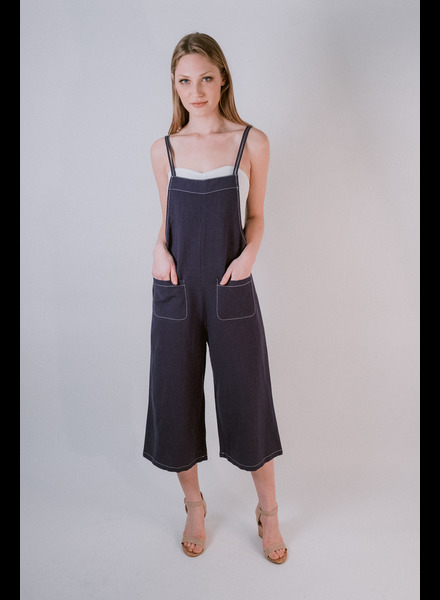 Navy culottes overalls with white trim and hip pockets. 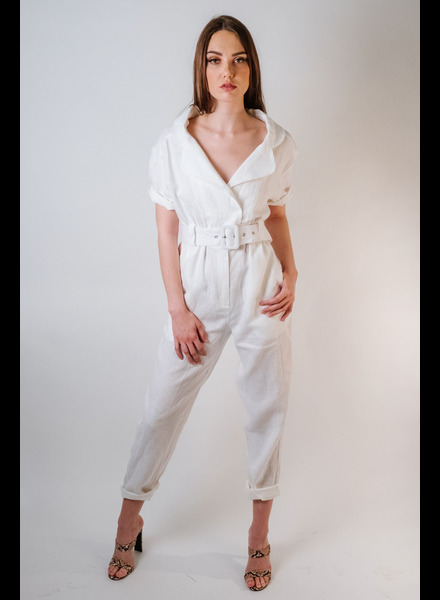 Model is 5’9” and wearing a size small. Black denim romper with silver buttons and fray hem bottom. Model is 5’9” and wearing a size small. 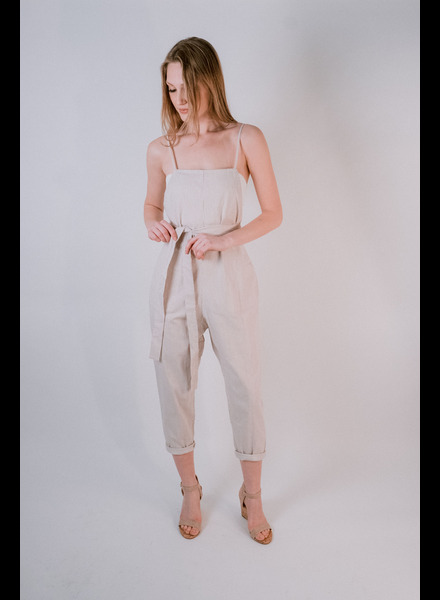 Blush denim overalls with zipper and tie front. Model is 5’9” and wearing a size small. Tan and white vertically striped sleeveless romper with smocked waistline. Model is 5’8 and is wearing a size small.